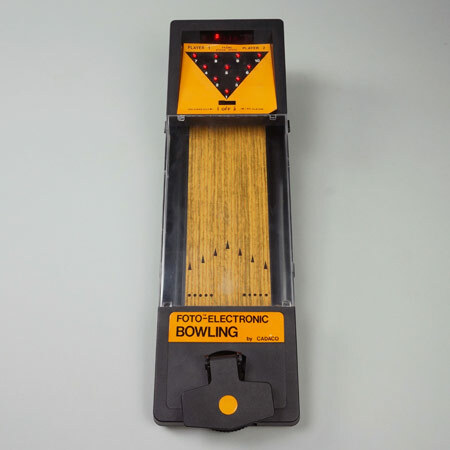 Nice example of a semi-electronic bowling game. It has quite a big metal ball which can be triggered in various angles and speeds. The ball can be locked for when not in use. Loud sound effects and melodies.